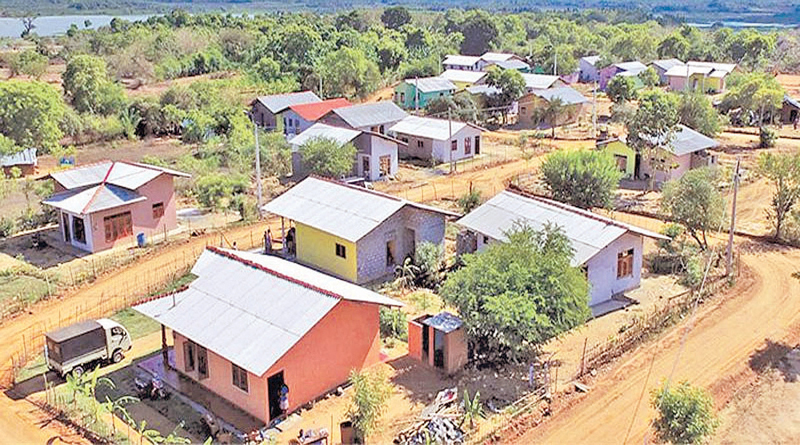 Housing, Construction and Cultural Affairs Minister Sajith Premadasa said the government’s objective is to achieve a target of 20,000 new reawakened villages in the country and ensure housing for all by the year 2025. They hope to achieve this target by completing 2,500 model villages throughout the country by September this year. Construction work has commenced on 1,577 new reawakened villages and they had to commence work on another 923 model villages within the next 265 days to achieve this year’s target of 2500 model villages. Minister Premadasa was addressing a meeting to mark the opening of the “Jayanethugama” model village in Kebettigollewa in the Anuradhapura district recently. This was the 150th model village under the new reawakened villages programme undertaken by his ministry. The model villages consists of 18 new houses built by the 18 beneficiary families on a free plot of land and housing assistance provided through the National Housing Development Authority. Minister Premadasa said prior to attending the model village opening ceremony, he had occasion to attend the opening of the Laggala New Green City and accompany President Maithripala Sirisena on an inspection four of the Kalu Ganga and Moragahakanda irrigation projects. While travelling in the President’s vehicle he was able to learn the history of the Kalu Ganga Moragahakanda project from him. The President told him that the project was launched in 2007 under one of his concepts as a Minister. But unfortunately his Ministry was changed within 48 hours of laying the foundation stone for it. The then government did not allocate any funding for the project from 2007 upto 2012. From 2012 the project went ahead at a snail’s pace. Premadasa said President Sirisena was only able to start the project in earnest after he became President of the Yahapalana Government on January 8, 2015. It was the Yahapalana Government which allocated all the funding for him to accelerate work on the project and complete it without bribery or corruption. This was a giant irrigation project on King Parakarambahu’s concept of using every drop of water for agriculture without allowing it to flow to the sea. 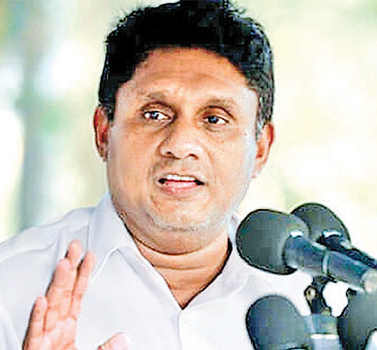 Minister Premadasa said it was strange to see parties which obstructed every step taken by Maithripala Sirisena when he was a minister in the previous regime trying to form a coalition with him and the SLFP led by him. “When the UNP was trying to start a fresh journey in league with the President, those opponents were vehemently trying to obstruct it. Perhaps they may be trying to coalesce with President Sirisena with the ulterior motive of completely eliminating him from politics,” Minister Premadasa said.